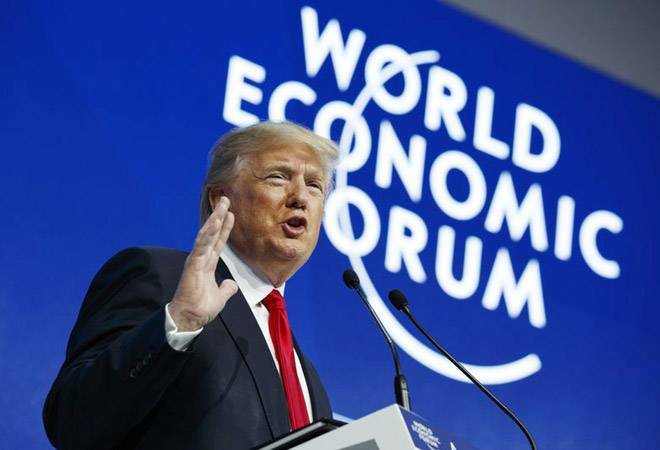 Declaring that America is open for business under his leadership, President Donald Trump told a gathering of political and business elites on Friday that the economic growth taking place in the U.S. due to his "America first" agenda also benefits the rest of the world. As Forum chairman Klaus Schwab introduced Trump, he drew some hisses when he said that the president could be subject to "misconceptions and biased interpretations." When Trump took the stage, he received modest applause but some people kept their hands at their sides. The crowd was largely subdued as the president spoke but there were boos when Trump took a swipe at the media.